The wide range of incontinence samples allows you to try out a product before you purchase a whole pack. Adult Pull Ups are suitable for moderate to heavy urinary incontinence. 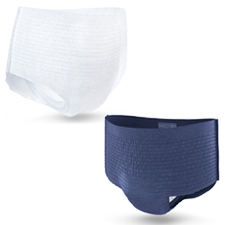 Pull Ups are similar to your own underwear and are incredibly discreet and comfortable.